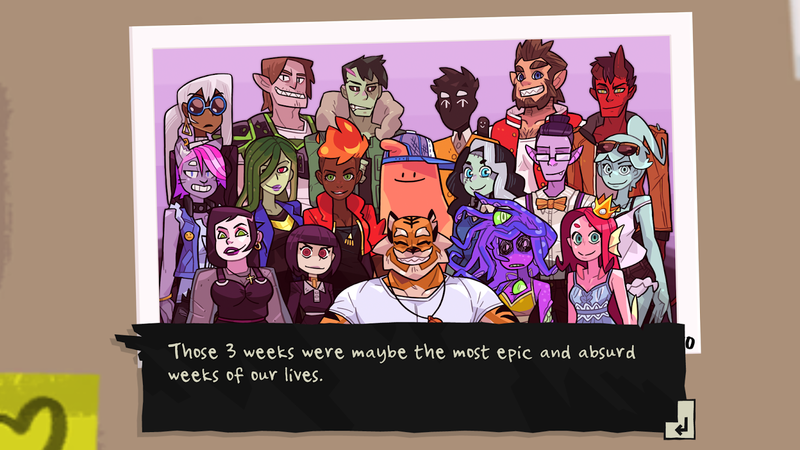 Home Gaming review Monster Prom Review. In my old school, we never got to have a prom, I always wanted to go to one but never got that chance but I think prom has been more popular in America than in the UK, to be honest, I got a chance to play through and review a dating sim called Monster Prom, it's obviously very different from real life due to the monsters but still interesting nonetheless, I'm used to games that have more control I usually find them to be much more fun, Monster Prom was more of a comic than anything with varied options to choose from. 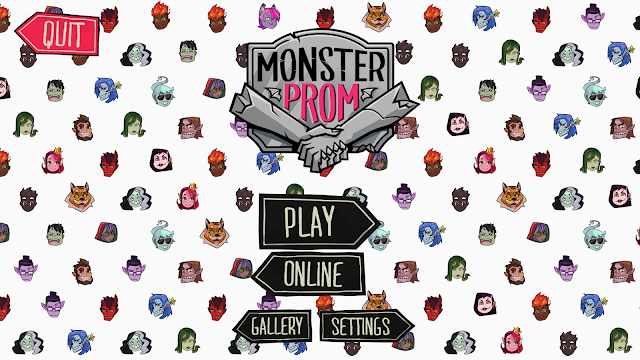 The story is pretty simple, there are 3 weeks left until prom and it's your job to try and get the monster you like best take you to prom, the sentences you choose to say in this game will have an impact on how much the person you have chosen will like you, there are 6 to choose from each unique who like different hobbies and you need to impress them. Each character is expressed wonderfully throughout the game, the artwork is vibrant and characters are cute which was enough to keep me wanting to play, at the start there is an option to play for 30 minutes or 60 minutes, obviously by playing for longer you will get the most out of the game but you can also play Monster Prom through a number of times to change your character or get a different prom date which makes the game that much more worthwhile to purchase. 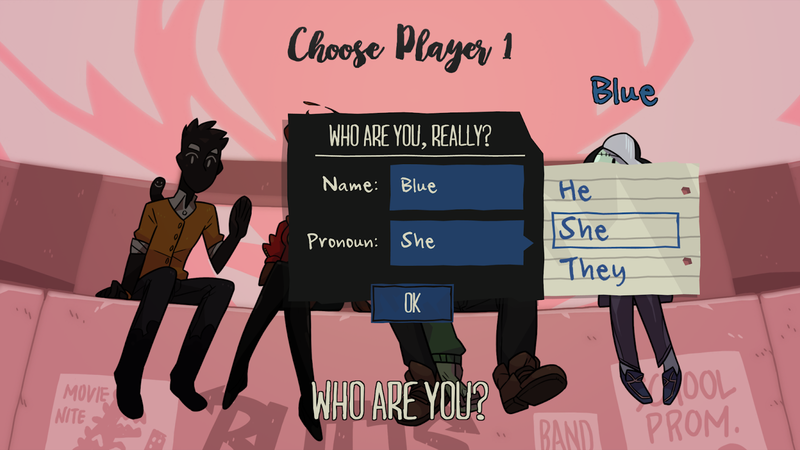 What I noticed when choosing my character at the start was that you can choose pronouns for your character, this is a great option a lot of games just let you choose a name and that's it, it's a big step forward for people wanting to relate more with a video game. 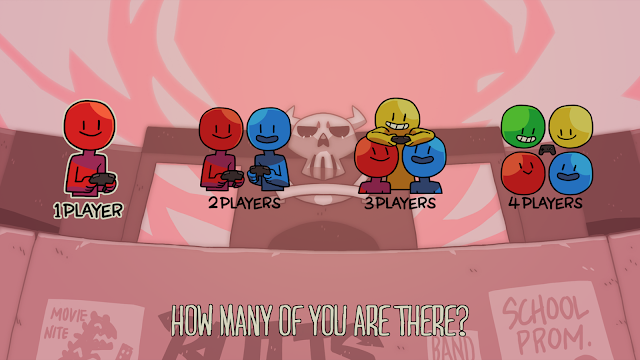 The game isn't solely one player you can play with up to four people which is great for gaming nights, I would happily sit and play it with my friends to see what their outcome is and because there is a selection of characters to play from there should be one to suit what kind of personality you or your friend has. I haven't played through this mode yet as I don't have enough people to play with but from what I understand it may make the game that much harder as you could all end up competing for the same monster! 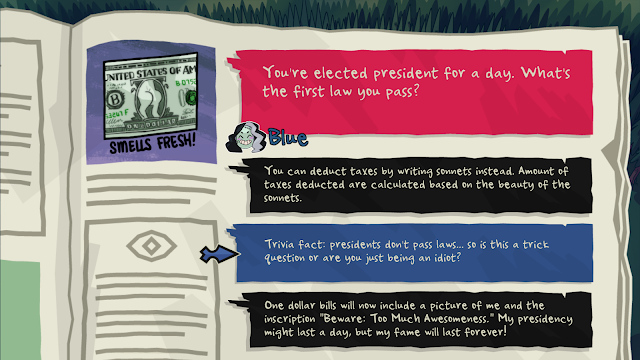 You will be given stats throughout the game, these are decided based on where you spend your time in the game, each of the stats will help boost you in different ways and the more money you have the better chance you have of increasing either your Boldness, smartness, creativity, charm and fun stats based on what object you end up buying same goes for wherever you choose to spend your time or what you choose to say, every single thing you do in the game will have an effect on your overall outcome for your Monster Prom date. I found myself spending a lot of my time in the bathrooms and Auditorium as I thought that maybe these two places would give me the best outcome but it doesn't always work that way which I learnt pretty fast when it came to picking my prom date. The first time you play this game you may find that you haven't landed a date and it may take more than one try but each time you do play it through you start to realise that you get better at it and once you played it through more than once you will get to choose out of the four as when you first play you can only choose one pre-made character which forces you to play multiple times, great little tactic. 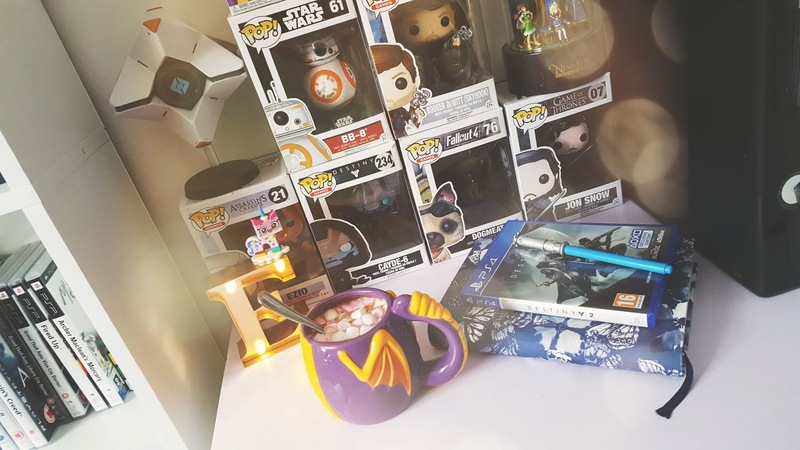 This game clearly isn't for young gamers, considering you can buy a bag of cocaine in the game to make you look cool it kind of feels like it gives out the wrong message, but at the same time it pushes the boundaries and shows that these things do tend to happen when there is pressure to look cool. 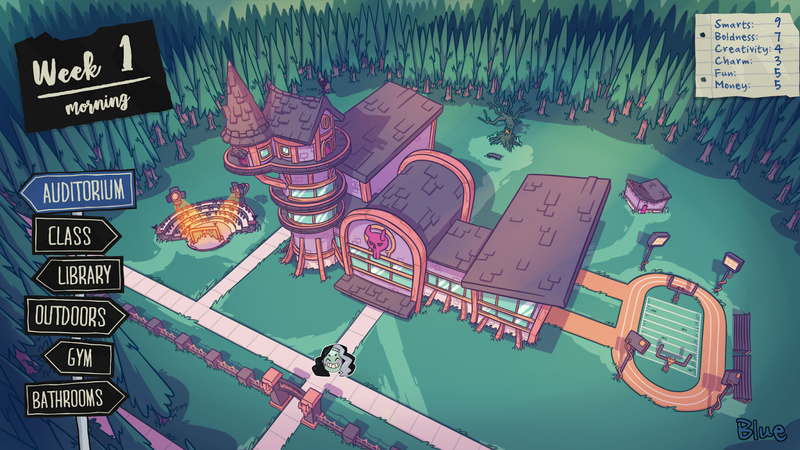 At times the game does feel repetitive but this makes the game what it is, you as the player need to find the best route in order to get the right prom date for yourself, I personally couldn't see myself relating with any of the monsters as they were all pretty confident in their own way and I guess this is why you have to win them over although it's not clear on what kind of personality your character has what is clear is that you're not as cool as the monsters you want to go to prom with, even though at the start of the game you have to answer some trivia questions which will help decides your stats I don't think this gives enough information about what kind of character we play as whereas the monsters we try to impress their personalities are on show for all to see. 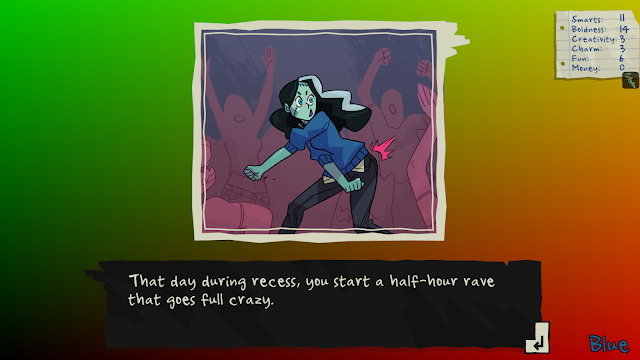 I didn't relate to this game as much as I wanted to but it's a bit of fun, school is a drag usually so why not mix it up a bit, being able to bunk off of school was something I never dreamed of doing in real life but in this game the main character isn't afraid to do that in order to try and woo the monster they like best. I would say play the 60-minute playthrough first to get the most out of it and work out what you should say and do, I liked this game despite the whole popularity concept I give it 4/5.